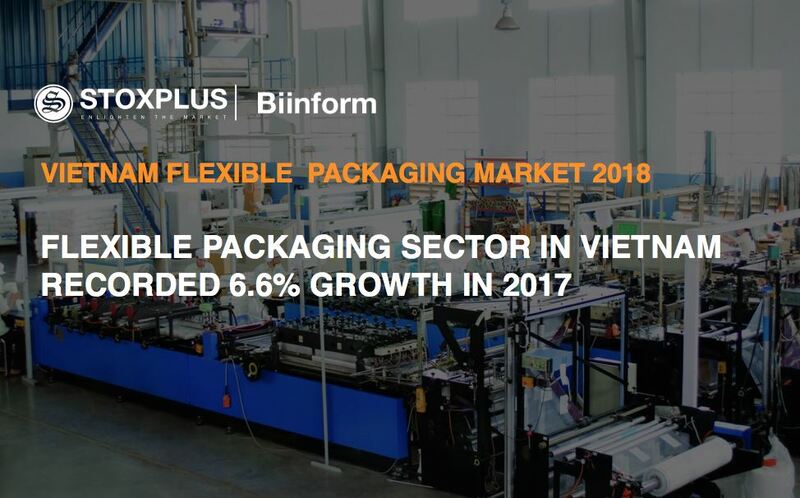 Flexible packaging in Vietnam is growing to accommodate other domestic demand sectors given the country’s favorable economic conditions. 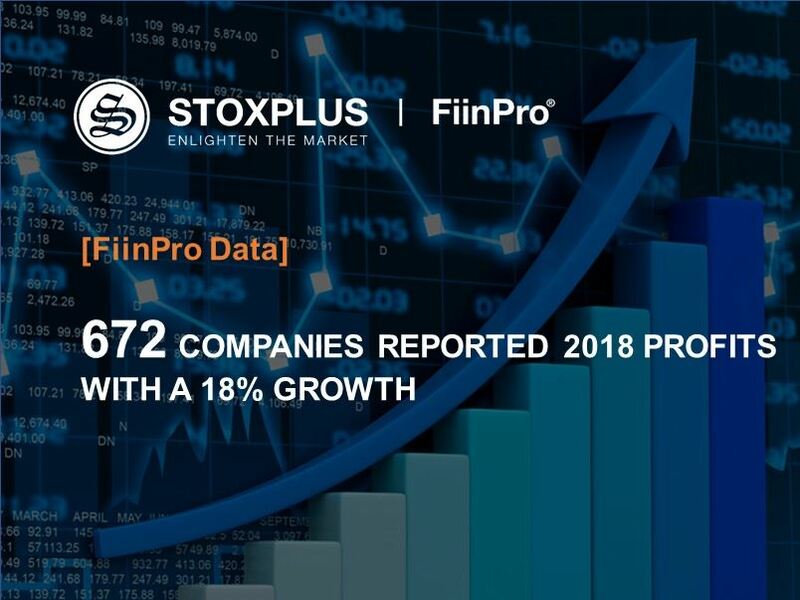 According to StoxPlus’s Vietnam Flexible Packaging Market 2018 Report, the market size of multilayered flexible packaging sector in 2017 reached approximately US$1.0bn, posting a Y-o-y growth rate of 6.6%. Nevertheless, underdeveloped local production of petrochemical puts packaging manufacturers in an unsafe dependency on imported raw materials. Increasing price of plastic resins has lowered profits of packaging manufacturers in 2017. Plastic packaging market, including flexible and rigid packaging, is the largest sector in packaging industry since the it serves a wide range of end-used markets. 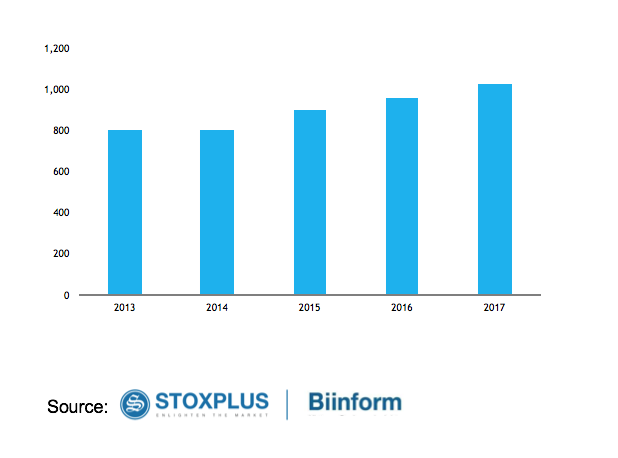 Flexible packaging witnessed double digits growth in 2015, however the growth has gradually slowed down in following years. 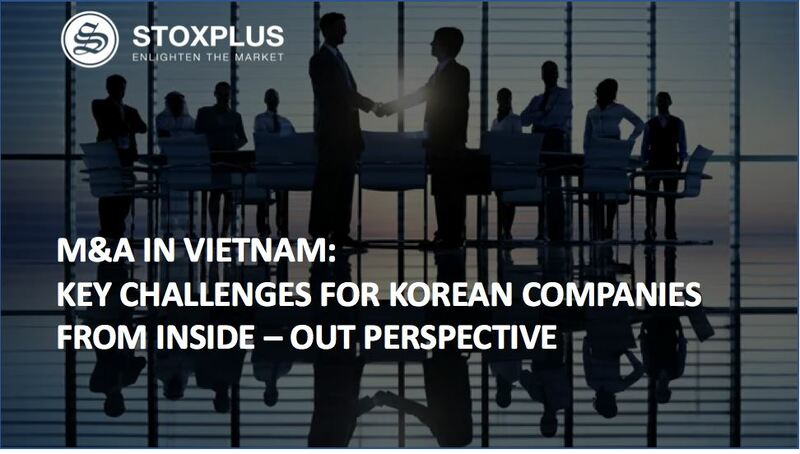 According to Vietnam Flexible Packaging Market 2018 Report by StoxPlus, multi-layered flexible packaging sector in Vietnam reached market size of approximately US$1.0bn in 2017, posting a growth rate of 6.6% compared to the previous year. On the other hand, rigid packaging sector, although much smaller in size compared to flexible packaging, achieved growth rate of 10.4% in 2017. 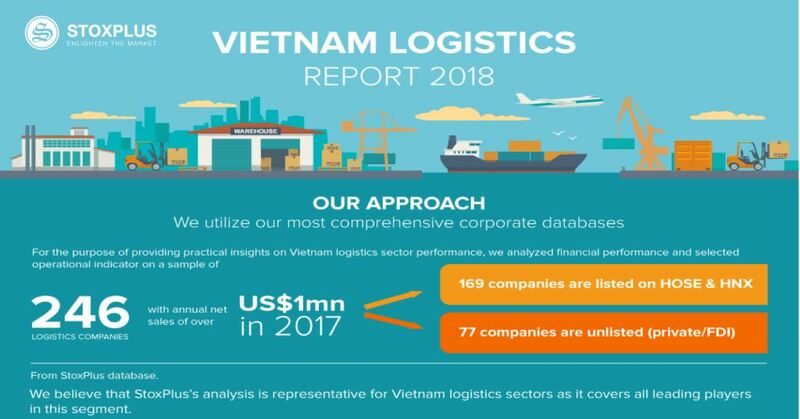 Given the country’s favorable economic conditions, Vietnam recorded significant growth in sectors that focus on domestic demand such as packaged food, home care and personal care. Therefore, demand in packaging is expected to grow accordingly to accommodate expansion in such domestic demand sectors. The underlying issue in Vietnam’s plastic packaging industry is the shortage in local raw materials production, which results in the reliance on imported plastic resins. 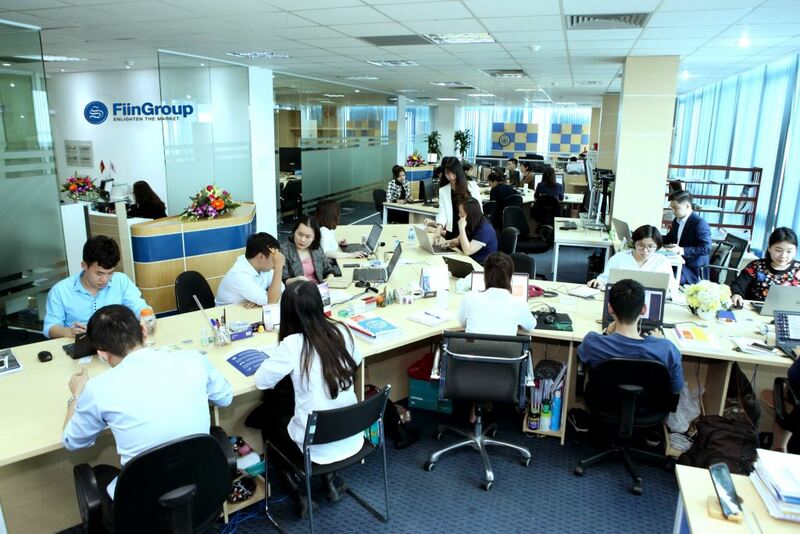 Over the most recent 5 years, polyolefin production capacity of petrochemical industry in Vietnam remained stable with active participation from foreign players including LG, SCG. 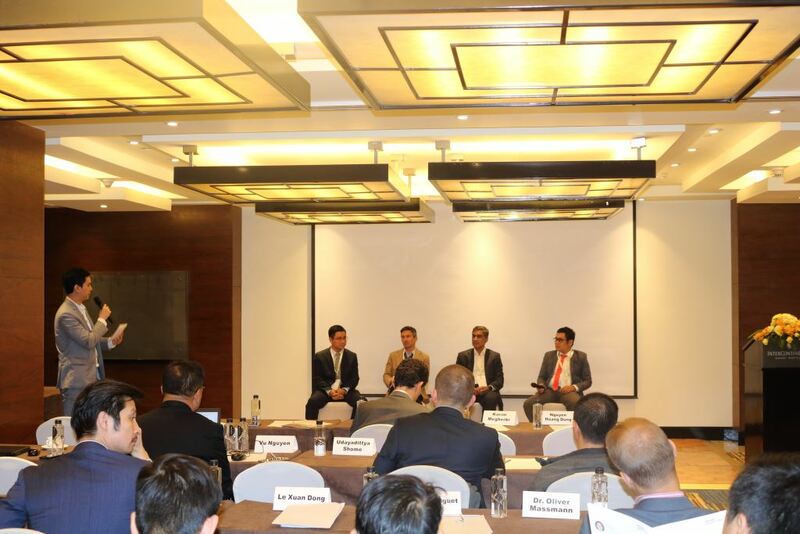 Despite the expected increase in production capacity in 2019 and 2021, Vietnam will still depend on import plastic resins, given the increasing demand from local plastic sector. In particular, new refinery-based complex Nghi Son Refinery with capacity of 373,000 tons p.a of PP, delayed commercial operation to Nov 2018. In addition, Long Son Petrochemical Project, a US$5.4 billion oil refinery project owned 100% by SCG (Thailand), has annual designed capacity of 450,000 tons PP, 450,000 tons of HDPE, and 500,000 tons of LLDPE. Long Son’s construction has started the construction in Feb 24th, 2018 and commercial operation is scheduled in the first half of 2023. 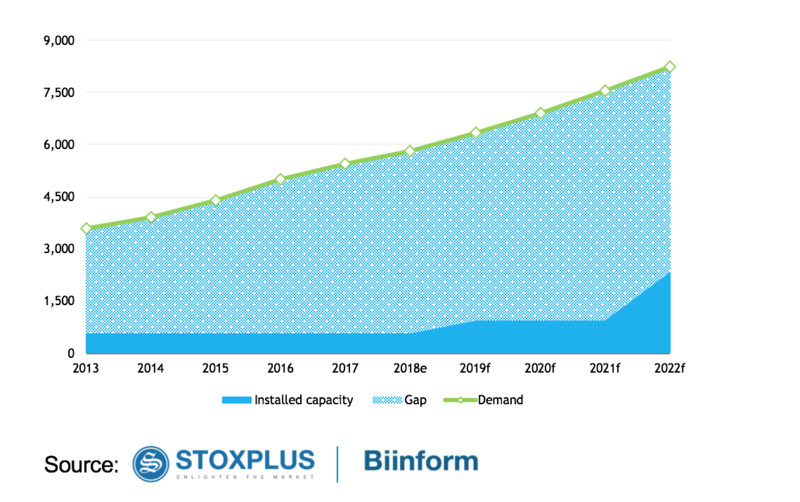 According to StoxPlus’s forecast, plastic industry would demand 8.2mn tons plastic resins. Meanwhile, after taking into account of all planned projects, domestic production would provide 2.34mn tons, meeting only 30% of domestic demand in 2023. Therefore, reliance on plastic resins imported will prolong further. Import volume of plastics resins reached 5,003 tons in 2017 and is estimated at 5,339 tons for 2018, posting CAGR 2013 -2018e of 10.6%. Local manufacturers usually take advantages of FTAs and tend to source plastic resins from South Korea and Thailand because of reduced trade barriers in import quotas and tariffs. 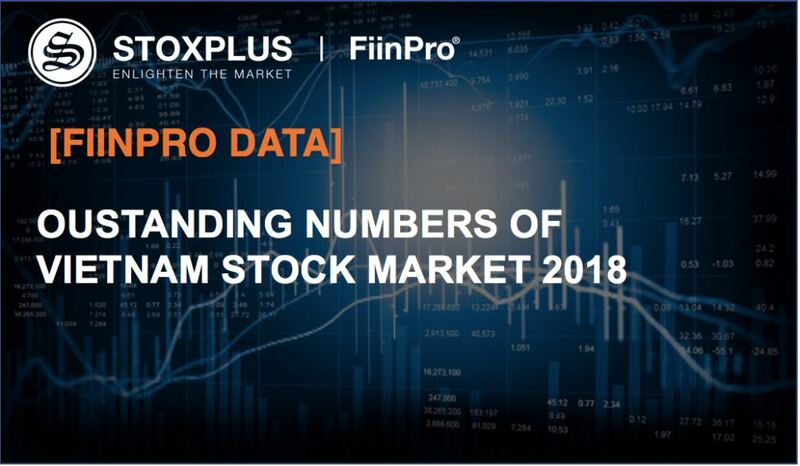 According to Vietnam Flexible Packaging Market 2018 Report by StoxPlus, demand for plastic resins will continue to rise and post a CAGR of 9.0% during the period 2018-2022. Packaging companies, known as “converters”, engaged in the conversion of commodity raw materials into value-added consumer or industrial packaging. This puts them in a potentially vulnerable position in the value chain since raw materials account for over 70% cost of goods sold in flexible packaging industry. Hence, profit margins are heavily affected by raw materials price movements. 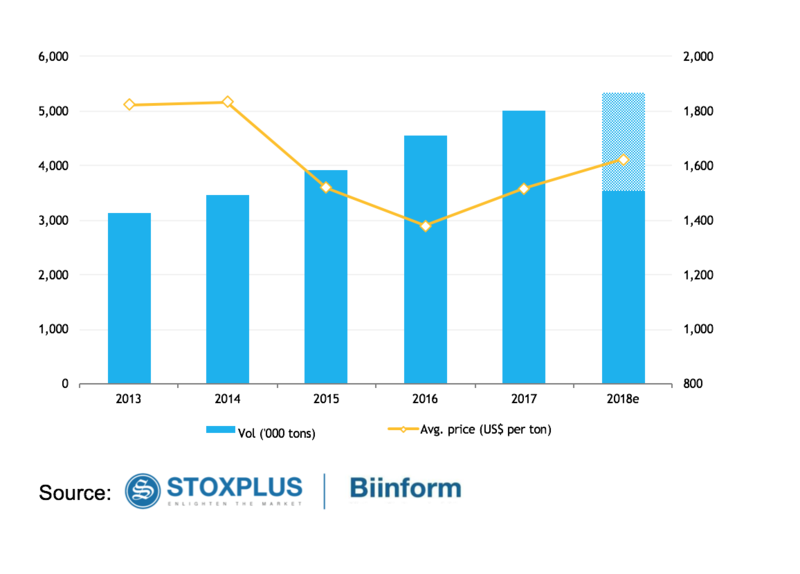 According to Vietnam Flexible Packaging Market 2018 Report by StoxPlus, profitability of flexible packaging companies is on the downward trend since 2016. 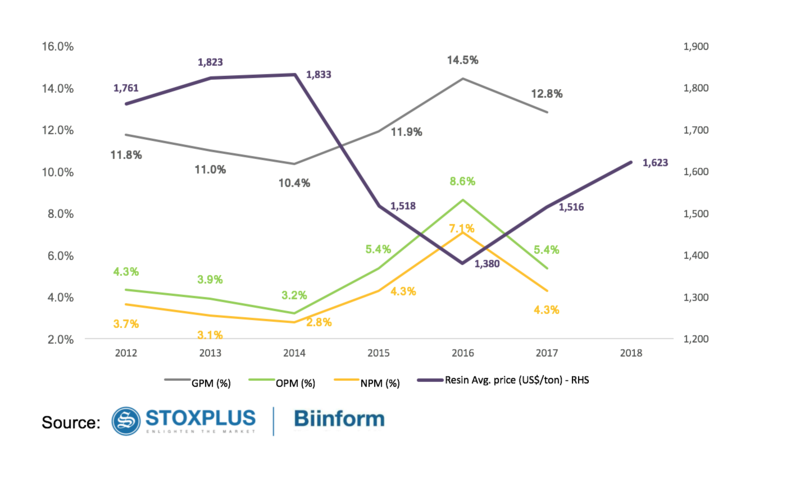 Profit margins of packaging companies are negatively correlated to plastic resins price, therefore the rising price of resins in recent years has dragged profits of packaging companies down accordingly. On the other hand, due to the fierce competition in the flexible packaging sector, the packaging manufacturers are unable to pass on the increase in raw materials cost to buyers. 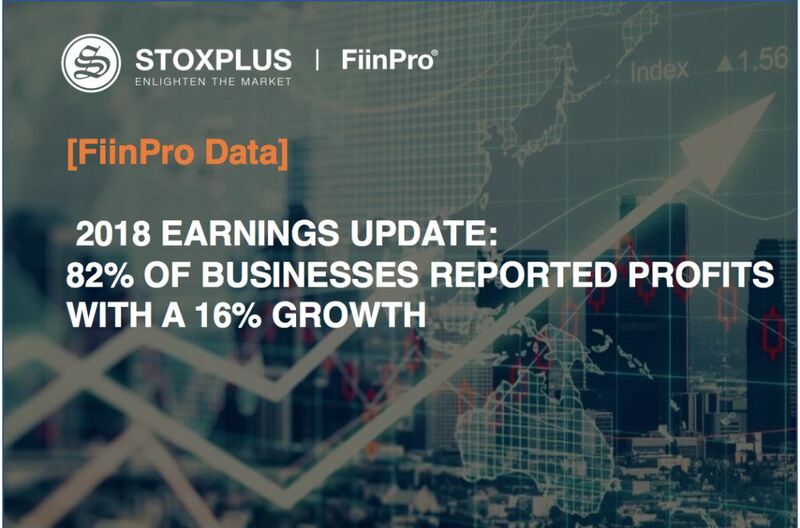 Since plastic resins price surged by 7.0% in 2018, StoxPlus foresees that profit margins of flexible packaging companies in 2018 will also decrease accordingly.